Responding to the lack of genre-based sites on the web, I've gathered here an array of sites focused on epic poetry, aiming for the occasionally quirky as well as the canonical vision of the genre. In addition to the links to individual poems and poets, I've tried to incorporate a few key sites for chronological study. Thus, links to sites like Perseus, The Labyrinth or Romantic Circles, with all their wealth of connections, are included at the bottom of the appropriate page. Your comments and suggestions for inclusion or updating are appreciated. Like all good sites, this one should be perpetually evolving, and appropriately enough, in the midst of things. I update the pages as often as I can (but time's wingéd chariot hurries near). For familiarity's sake, the organization is (loosely) chronological, with a few pages (Non-Western, American, and Women's Epic) based in kinds rather than times of origin. The chronologies as well as the selections currently show too clearly my own as well as the Internet's strong Anglo-American bias. And I have finally incorporated a search page for this directory, which may help if you're not sure where to start looking. Note: Though I do include links to some creative, occasionally naive endeavors, I try not to include sites like the following (straight from the original): "Oral poets can whole heroic poems a formulae in construction of their epics although in this case Homer did not." 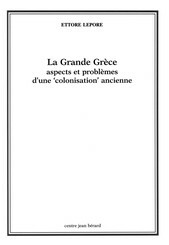 It is generally acknowledged that the literature of the Greeks and Romans is among the most beautiful and powerful expressions of the human mind. It is also generally known that this body of literature was created with the intention of being orally performed and aurally experienced by a group of listeners, large or small, and was not intended to be read silently with the eyes alone. The element of sound is therefore fundamental to a full esthetic experience and understanding of Greek and Latin literature. And yet, the traditional method of teaching Greek and Latin ignores or neglects the sounds of these languages, as if they were of little or no importance, thus depriving students of the basic literary reward of hearing and reproducing beautiful poetry. It is as if students were to study Mozart solely from musical scores and not be given the opportunity of hearing his music. It is the aim or our Society to encourage students and teachers to listen to and to reproduce the sounds of Greek and Latin literature, thereby enriching the whole study process of these languages. 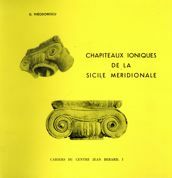 Fortunately, linguistic and metrical research of the last century now permits us to acquire a close approximation of the pronunciation of classical Greek and Latin, a result which we call the "restored pronunciation" (basic bibliography below). 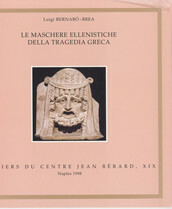 Our Society feels that it is our professional duty to use the results of this research in our teaching of Greek and Latin as a means for achieving maximum authenticity and esthetic pleasure in the reading of Greek and Latin literary works. As a means toward this end, our Society presents programs oriented to the oral performance of Classical literature at the annual APA meetings, we publish a newsletter, we have established this website to present pertinent information, audio clips, queries and discussion, while several members or our Society regularly give recitals of Greek and Latin literature in schools, colleges and universities throughout the country. We cordially invite you to join the Society for the Oral Reading of Greek and Latin Literature and to share our experience in hearing and reproducing the true sounds of Homer, Vergil, and the other Classical authors. by Robert P. Sonkowsky, University of Minnesota. by Mark Miner, University of Georgia. by Wakefield Foster, University of Missouri. by Stephen G. Daitz, City University of New York. by Katharina Volk, Columbia University. by Matthew Dillon, Loyola University. by William Mullen, Bard College. by Rachel Kitzinger, Vassar College. The Illicit Antiquities Research Centre (IARC) was established in 1996 at the McDonald Institute for Archaeological Research at the University of Cambridge, with a mission to research and raise awareness of the trade in illicit antiquities. It was closed in 2007. As part of its mission, the IARC published a bi-annual newsletter, Culture Without Context, which contained news, commentary and original research on all aspects of the trade. 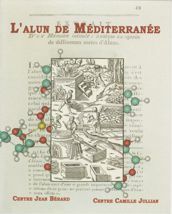 The McDonald Institute has kindly allowed us to make available here for download pdfs of the complete run of twenty issues. Culture Without Context (2007), Issue 20 (Cambridge: McDonald Institute for Archaeological Research). Culture Without Context (2006), Issue 19 (Cambridge: McDonald Institute for Archaeological Research). Culture Without Context (2006), Issue 18 (Cambridge: McDonald Institute for Archaeological Research). Culture Without Context (2005), Issue 17 (Cambridge: McDonald Institute for Archaeological Research). Culture Without Context (2005), Issue 16 (Cambridge: McDonald Institute for Archaeological Research). Culture Without Context (2004), Issue 14 (Cambridge: McDonald Institute for Archaeological Research). Culture Without Context (2004), Issue 15 (Cambridge: McDonald Institute for Archaeological Research). Culture Without Context (2003), Issue 12 (Cambridge: McDonald Institute for Archaeological Research). Culture Without Context (2002), Issue 10 (Cambridge: McDonald Institute for Archaeological Research). Culture Without Context (2002), Issue 11 (Cambridge: McDonald Institute for Archaeological Research). Culture Without Context (2001), Issue 9 (Cambridge: McDonald Institute for Archaeological Research). Culture Without Context (2001), Issue 8 (Cambridge: McDonald Institute for Archaeological Research). Culture Without Context (2000), Issue 7 (Cambridge: McDonald Institute for Archaeological Research). Culture Without Context (2000), Issue 6 (Cambridge: McDonald Institute for Archaeological Research). Culture Without Context (1999), Issue 5 (Cambridge: McDonald Institute for Archaeological Research). 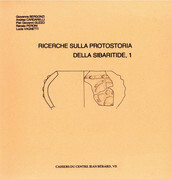 Culture Without Context (1999), Issue 4 (Cambridge: McDonald Institute for Archaeological Research). 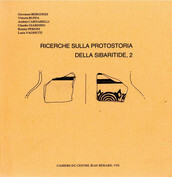 Culture Without Context (1998), Issue 3 (Cambridge: McDonald Institute for Archaeological Research). 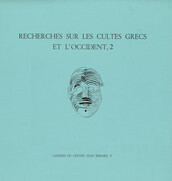 Culture Without Context (1998), Issue 2 (Cambridge: McDonald Institute for Archaeological Research). Culture Without Context (1997), Issue 1 (Cambridge: McDonald Institute for Archaeological Research). The MTAAC project develops and applies new computerized methods to translate and analyze the contents of some 67,000 highly standardized administrative documents from southern Mesopotamia (ancient Iraq) from the 21st century BC. Our methodology, which combines machine learning with statistical and neural machine translation technologies, can then be applied to other ancient languages. 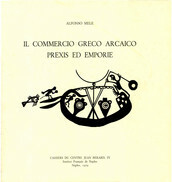 This methodology, the translations, and the historical, social and economic data extracted from them, will be offered to the public in open access. L’ASAC édite un Bulletin annuel à l’attention de ses membres. 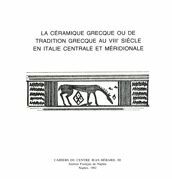 On y trouve le contenu des contributions présentées lors de la Table ronde, des informations sur les activités et les rapports du Comité, ainsi que divers articles liés à des thèmes d’actualité. 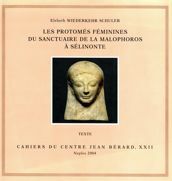 Sur le plan administratif, elle représente les intérêts et les préoccupations de l’archéologie classique vis-à-vis des autorités, des institutions d’encouragement à la recherche et des organes chargés de la politique scientifique, ainsi qu’auprès du public. Sur le plan scientifique, elle favorise les échanges et encourage la coordination entre les institutions et les chercheurs. 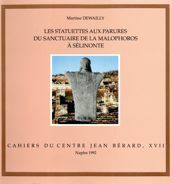 Elle sert également de plateforme de dialogue personnel et scientifique entre ses membres. 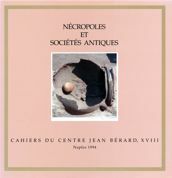 This book provides a broad overview of the key concepts in public archaeology, a research field that examines the relationship between archaeology and the public, in both theoretical and practical terms. 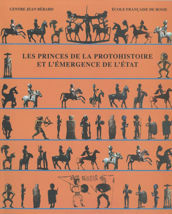 While based on the long-standing programme of undergraduate and graduate teaching in public archaeology at UCL’s Institute of Archaeology, the book also takes into account the growth of scholarship from around the world and seeks to clarify what exactly ‘public archaeology’ is by promoting an inclusive, socially and politically engaged vision of the discipline. 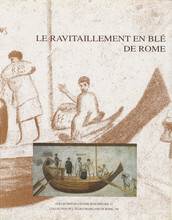 Written for students and practitioners, the individual chapters provide textbook-level introductions to the themes, theories and controversies that connect archaeology to wider society, from the trade in illicit antiquities to the use of digital media in public engagement, and point readers to the most relevant case studies and learning resources to aid their further study. Released as part of JISC's innovative Institution as Publisher study, this book was originally published as a ‘living book’ on UCL Press’s innovative digital platform. The first nine chapters were published in February 2017, with further chapters added over the following months, to form an ongoing and developing resource on this fascinating topic. Gabriel Moshenska is Lecturer in Public Archaeology at UCL. He studied his BSc, MA, PhD and held a Leverhulme Trust Early Career Research Fellowship at the UCL Institute of Archaeology, which has long been a global centre of practice, scholarship and teaching in public archaeology. 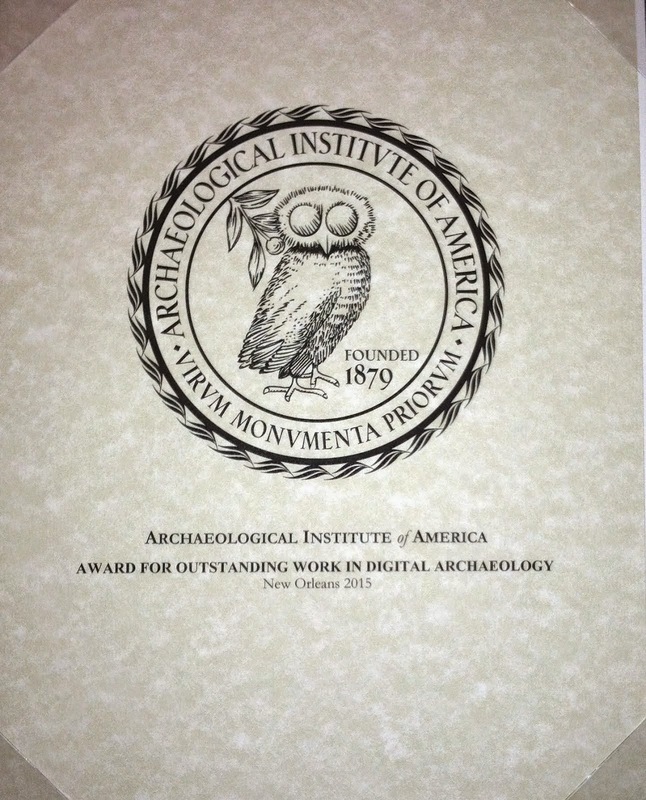 He has published numerous books and articles on topics including the history of archaeology, the archaeology of the Second World War in Britain, archaeological themes in literature, and public and community archaeology. 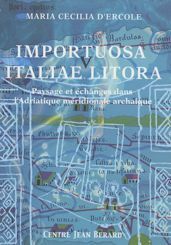 Il Gruppo di Ricerca sul Mito e la Mitografia dell'Università di Trieste (GRIMM - Dipartimento di Scienze dell'Antichità "Leonardo Ferrero") sta elaborando questo grande Dizionario Etimologico della Mitologia Greca multilingue On Line (DEMGOL). 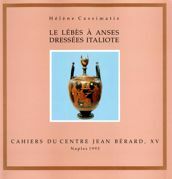 In questo momento (maggio 2009) è già utilizzabile la versione italiana e quella castigliana, con oltre 900 voci, e numerose illustrazioni, mentre oltre 500 voci in lingua francese sono consultabili. Utile per la didattica (e-learning) e per una rapida consultazione da parte di esperti e di persone digiune di cultura classica, esso fornisce le fonti principali e un'etimologia plausibile degli antroponimi del mito greco e latino (soprattutto per i personaggi minori), segnalando nomi e termini di origine micenea, e le proposte interpretative più recenti della ricerca linguistica. 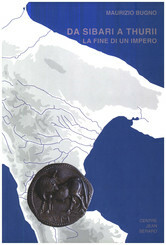 Molte voci sono collegate con qualche immagine scelta non tanto nella vasta iconografia antica (pittura vascolare, etc. ), quanto invece nelle riprese moderne, per mostrare la diffusione e la vitalità dei temi della mitologia classica nella cultura europea, dal medioevo a oggi. Il lavoro, che parte da una dissertazione di laurea di Carla Zufferli, viene portato avanti sotto la direzione di Ezio Pellizer, con la collaborazione di molti membri del GRIMM: Francesca Marzari, Luisa Benincampi, Stefano di Brazzano, Alberto Cecon, Alberto Pavan; lavorano alla traduzione francese Francesca Marzari e Françoise Létoublon (gruppo HOMERICA, Grenoble, che conduce esperimenti di Traduzione Automatica su supporto informatico); a quella spagnola, José Antonio Clúa Serena (Barcelona), Diana De Paco Serrano (Murcia) e Álvaro Ibáñez (Granada). Una traduzione in lingua inglese, portoghese-brasiliana e catalana sarà presto iniziata e resa disponibile, a cura di altri membri del GRIMM che operano a Birmingham, Baltimora, Barcellona, Belo Horizonte e altrove, per un'utenza sempre più vasta di studenti e di studiosi delle scienze umanistiche e della cultura classica. The University of Trieste's Research Group on Myth and Mythology (GRIMM, Department of Ancient Studies "Leonardo Ferrero") is currently in the process of completing the on-line version of a vast multilingual Etymological Dictionary of Greek Mythology (DEMGOL). 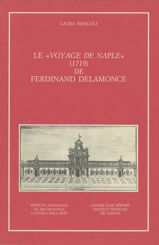 As of May 2009, the Dictionary, including more than 900 entries and numerous illustrations, is available in Italian and Spanish; over 400 entries are also accessible in French. The Dictionary promotes online learning (e-learning) and permits experts in classical culture and laypersons alike to quickly and easily access the principle sources of Greek and Roman mythology. For each of the 900 entries, the Dictionary includes plausible etymologies of mythic anthroponyms (especially of minor characters), noting names and terms of Mycenean origin, as well as interpretations of these names from the most recent linguistic research. 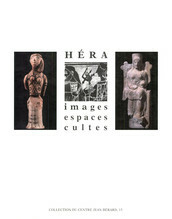 Many entries are also furnished with images; these have been chosen more frequently from modern sources than from the immense (and already well-known) artistic production of the ancient world (vase painting, etc.) 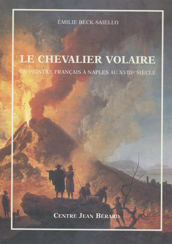 in order to demonstrate the diffusion and vitality of the themes and motifs of classical mythology in European culture from the middle ages to today. 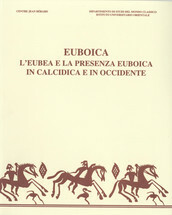 Based on the dissertation of Carla Zufferli, the research and publication of the Dictionary is being conducted under the direction of Ezio Pellizer with the collaboration of GRIMM's many contributing members: e.g., Francesca Marzari, Luisa Benincampi, Stefano di Brazzano, Alberto Cecon and Alberto Pavan. Francesca Marzari and Françoise Létoublon are overseeing the French translation (the ‘HOMERICA' group is also experimenting with automatic translation technologies), while José Antonio Clúa Serena (Barcelona), Diana De Paco Serrano (Murcia) and Álvaro Ibáñez (Granada) are undertaking the Spanish translation. Translation of the Dictionary into English, Brasilian Portuguese and Catalan will begin soon, made possible by other members of GRIMM working in Birmingham, Belo Horizonte, Baltimore, Barcelona, and elsewhere. This will allow an ever-growing group of students and scholars in classical studies, and in the humanities more generally, to access this extraordinary valuable resource. The Critical Catalogue of Mesopotamian Anti-witchcraft Rituals (CCMAwR) is the backbone of the online corpus of Mesopotamian anti-witchcraft texts. 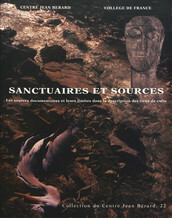 It offers information on the different anti-witchcraft compositions/editions and their manuscripts/tablets. You can search the CCMAwR catalogue for tablets by choosing one of the first three options when you are looking for respectively: 1) information on a specific tablet; 2) a group of tablets (e.g., all anti-witchcraft tablets from a certain provenance or period); or 3) a tablet that was copied in a certain publication. The resulting page will give you information on the tablet's format, the language, script and the period it was written in, and its archival context (if known). Links to CDLI and/or HPM are provided when available. 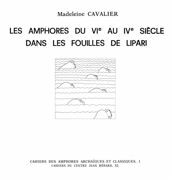 Moreover, Schwemer's cuneiform copies, including his collection of Maqlû copies, can be accessed. If the tablet is edited in CMAwR vol. 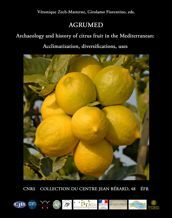 1 or 2, links to information on the relevant composition(s) on CCMAwR and to their digital edition on Oracc (vol. 1) are given as well. 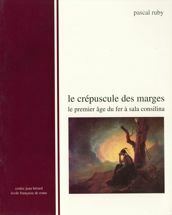 You can also search the CCMAwR catalogue for compositions by choosing one of the last three options when you are looking for respectively: 4) information on a specific composition (by group and title as edited in CMAwR); 5) the composition(s) including certain incantations; or 6) a composition that was previously edited elsewhere (thus excluding CMAwR). 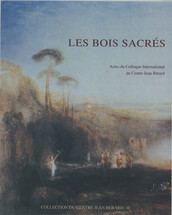 The composition information is at present available for the compositions edited in CMAwR vol. 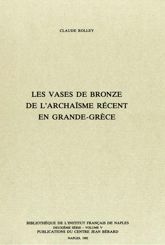 1 (complete), vol. 2 (in progress) and Maqlû (complete). 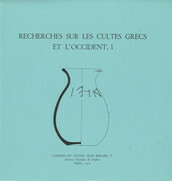 The retrieved data includes a link to the composition on Oracc (vol. 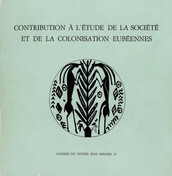 1), information on the content and synopsis of the text (vol. 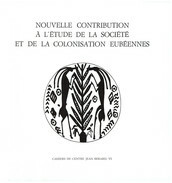 1), previous editions (vol. 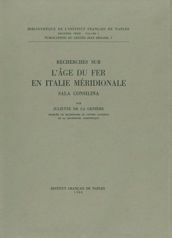 1, Maqlû) and relevant manuscripts (vol. 1 and 2, Maqlû). 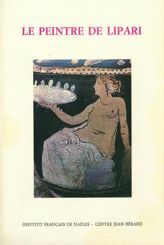 CMAwRo (http://oracc.museum.upenn.edu/cmawro/corpus) presents online critical editions of Mesopotamian rituals and incantations against witchcraft. The text editions and translations are derived from the Corpus of Mesopotamian Anti-witchcraft Rituals (CMAwR vol. 1, Brill: 2011). 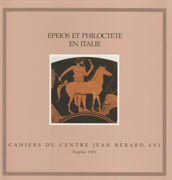 The texts edited in vol. 2 and Maqlû will be available online in the near future. An explanatory website on Mesopotamian witchcraft and magic can be found on http://www.cmawro.altorientalistik.uni-wuerzburg.de/. 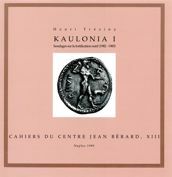 CCMAwR was created as part of the DFG-funded project Corpus babylonischer Rituale und Beschwörungen gegen Schadenzauber: Edition, lexikalische Erschließung, historische und literarische Analyse, directed by Daniel Schwemer at the University of Würzburg. massive population growth, coupled with endemic instability, poverty and youth unemployment. Nahrein is the Arabic name for Mesopotamia, the area between the two rivers Tigris and Euphrates, centred on modern-day Iraq and northern Syria. 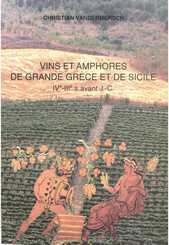 The literate, urban cultures of Sumer, Babylonia and Assyria predate Greece and Rome by some millennia. Together with Egypt, they represent the crucial first half of world history. This new antiquity, re-discovered only in the 19th century, is now jeopardised by the conflicts presently tearing the region apart. Since 2014, the destruction of heritage sites throughout Syria and Iraq has received widespread publicity. International aid projects have pumped millions of dollars of aid into the documentation, digitisation, and conservation of threatened and damaged buildings and archaeological sites across the Middle East. However, only a few of these schemes pay much attention to long-term, local interests and impacts. At the same time, the whole region is struggling with the human effects of war. According to the UNDP’s Human Development Report 2016, youth, women and girls, rural dwellers, and those living in conflict-affected areas are the four groups of people most at risk of being ‘left behind’. Cultural, ethnic and religious minorities are particularly vulnerable to systemic exclusion. We will enable people across the region to reclaim their ancient heritage as local history, putting it to constructive use for their communities. The Network will harness interdisciplinary humanities research and education to help Middle Eastern universities, museums, archives and cultural heritage sites build their capacity to contribute to their countries’ economic, cultural and social development in the years ahead. Our aims are described in more detail here. 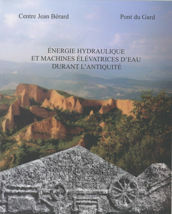 Depuis plus de quarante ans, Les Publications du Centre Jean Bérard ont pour vocation de faire paraître des ouvrages scientifiques d’archéologie de l’Italie du Sud. 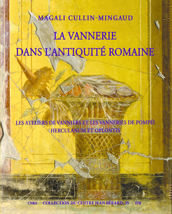 Dans ses différentes collections, elles proposent essais, thèses, comptes rendus de fouilles, actes de colloques et de séminaires, bibliographie topographique. 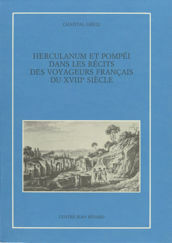 Les Publications se sont également dotées d'une collection de récits de voyageurs français du « Grand Tour » et d’études sur des peintres de cette époque. 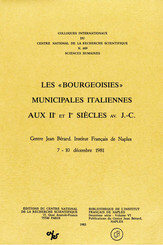 IVe IIIe s. avant J.-C.
Les « bourgeoisies » municipales italiennes aux IIe et Ier siècles av. 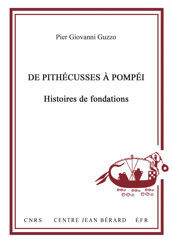 J.-C.
Pier Giovanni Guzzo, Renato Peroni, Giovanna Bergonzi et al. 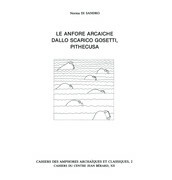 Giovanna Bergonzi, Vittoria Buffa, Andrea Cardarelli et al.